The Ministry of Social Justice & Empowerment (Department of Social Justice & Empowerment) is entrusted with the empowerment of the disadvantaged and marginalized sections of the society. The Target groups of the Department are: (i) Scheduled Castes, (ii) Other Backward Classes, (iii) Senior Citizens and (iv) Victims of Substance Abuse. There was an increase of 16.66% in the Plan outlay of the Ministry from Rs.5915 crore in 2012-13 to Rs 6625 crore in 2013-14 which includes the Budget Estimate of the Department of Disability of Affairs. The Plan Outlay allocated to Ministry of Social Justice and Empowerment has been enhanced from Rs 13043 crore in the 11th Five Year Plan to Rs 32684 crore for 12th Five Year Plan. The objective of this Scheme is to provide financial assistance to scheduled caste students studying at post matriculation or post-secondary stage to enable them to complete their education. The financial assistance includes maintenance allowance, reimbursement of non-refundable compulsory fee, Book Bank facility and other allowances. The Scheme has been partially revised w.e.f. 01.04.2013. The annual parental income ceiling on the eligibility condition has been revised from existing Rs.2.00 lakh to Rs. 2.50 lakh. A Bill namely “The Constitution (Scheduled Castes) Orders (Amendment) Bill, 2012” introduced in Lok Sabha on 21.05.2012, to include certain castes as synonyms in the lists of Scheduled Castes for the States of Kerala, Madhya Pradesh, Odisha and Tripura; and to omit one caste from the list of Scheduled Castes of Sikkim, was referred to the Department related Standing Committee, which approved the amendments in the Bill, in its entirety. The Lok Sabha has passed the Bill on 31.08.2013. In view of unsatisfactory implementation of the Scheduled Caste Sub Plan (SCSP) strategy of the Planning Commission, the Ministry had prepared a draft Bill on the Scheduled Castes Sub-Plan. A draft Cabinet Note on “The Scheduled Castes Sub-Plan Bill, 2013” was circulated for inter-ministerial consultation in October 2013. Based on the comments received from the Ministries/Departments the note for the Cabinet on “The Scheduled Castes Sub-Plan and Tribal Sub-Plan Bill, 2013” has been forwarded to the Ministry of Law on 05.12.2013 for vetting. Efforts are being made for obtaining early decision of the Cabinet. This legislation, as and when enacted, would ensure flow of SC population proportionate funds out of the total Annual Plan Outlay for the development SCs. The Cabinet, in its meeting held on 21.02.2013, approved the extension of the term of the National Commission for Safai Karmacharis (NCSK) for a further period of three years, from 01.04.2013 to 31.03.2016. The Finance Minister had, during his Budget Speech 2013-14, announced that 10% of Special Central Assistance (SCA) to Scheduled Castes Sub Plan (SCSP) Funds would be utilized for Skill Development. In pursuance of this announcement and with the approval of the competent authority, the Guidelines have been issued to States/UTs to utilize at least 10% of SCA to SCSP funds for skill development programmes within existing framework of the Scheme w.e.f. the current financial year 2013-14, in order to enhance the employability of the Scheduled Caste persons. The Scheme has been revised with effect from 01.08.2013 as follows: (a) The number of slots for each State has been increased; (b) The rate of scholarship has been enhanced from Rs. 15,000 to Rs. 25,000 per annum; and (c) The rate of Disability Assistance has been doubled. The Cabinet note on “The Scheduled Castes and Scheduled Tribes (prevention of Atrocities) Act, 1989” was sent to the Cabinet Secretariat on 22.08.2013 and 28.10.2013 containing the proposed amendments in the Act. The Cabinet in its meeting held on 13.11.2013, approved the amendments. The Scheduled Castes and Scheduled Tribes(Prevention of Atrocities)Amendment Bill has been introduced in the Lok Sabha during the winter session of the Parliament on 12.12.2013. Planning Commission vide its OM No. M-12043/03/2013-PC dated 11.7.2013 has advised to restructure the seven Centrally Sponsored Schemes for the development of SCs, by merging them into a single Scheme. vii. Protection of Civil Rights (PCR) Act, 1955 & Scheduled Castes and Scheduled Tribes (Prevention of Atrocities) Act, 1989. (ii) Since there are separate scholarship Schemes for educational development of the OBCs, it would be better to merge the hostel construction scheme for OBCs with those Scholarship Schemes for the educational development of OBCs. During the calendar year 2013 (up to November 2013), Rs.679.74 crore and Rs.80.62 crore were released to State Governments/UT Administrations under the Post-Matric Scholarship Schemes for OBCs and Pre-Matric Scholarships Schemes for OBCs respectively. The authorized share capital of National Backward Classes Finance & Development Corporation (NBCFDC) was raised from Rs.700 crore to Rs.1500 crore by the Government. The present Paid up Capital of the Corporation is Rs.775 crore. (i) Surajkund Craft Mela at Faridabad, Haryana from 1st to 15thFebruary, 2013 wherein beneficiaries, artisans/handicraft persons participated to display their products and handicrafts. (ii) 5th East Himalaya Expo 2013 at Siliguri, West Bengal from 25th to 31st October, 2013. (iv)India International Trade Fair (IITF) 2013 at Pragati Maidan, New Delhi from 14th-27th November 2013. The Corporation provided training to 8970 persons belonging to OBCs under various trades from 1st January 2013 to 15th December 2013. The National Policy on Older Persons (NPOP) was announced in 1999 to reaffirm the commitment to ensure the well-being of the older persons. The Policy envisages State support to ensure financial and food security, health care, protection against abuse and exploitation, shelter and other needs of senior citizens to improve the quality of their lives. Keeping in view the changing demography of the senior citizens in the country over the last decade, the Ministry constituted a Committee to (i) assess the present status of various issues concerning senior citizens, in general, and implementation of NPOP, 1999, in particular, and (ii) draft a new NPOP keeping in view the emerging trends in demographic, socio-economic, technological and other relevant fields. The Committee submitted the draft National Policy for Senior Citizens (NPSC) on 31stMarch 2011. Based on the draft proposed by the Committee, the Ministry has suitably modified the draft policy and prepared a draft Cabinet Note. Comments from all related Central Ministries/Departments have been invited on the draft Cabinet Note. The Ministry expects to finalise the new National Policy shortly. (i) Awareness generation for the Maintenance and Welfare of Parents and Senior Citizens Act, 2007. (ii) Setting up Helpline for Senior Citizens at the National and District Level. (iii) Setting up a National Commission for Senior Citizens. (iv) Creation of a National Trust for the Aged. (v) Scheme for implementation of various provisions of the New National Policy on Senior Citizens. The Committee has held two meetings so far on 7-8-2013 and 30-10-2013 respectively and has been asked to submit the draft proposals on each Scheme. The Ministry observed the International Day for Older Persons (IDOP) on 1stOctober 2013. The Ministry collaborated with Help Age India for organising an Inter-generational Walkathon at the India Gate Lawns, Rajpath, New Delhi on the morning of 1st October 2013. A function was also organised at the Vigyan Bhawan wherein National Awards were conferred on eminent senior citizens and Institutions in recognition for their contribution towards the cause of the elderly on 1st October 2013. The President of India, the Chief Guest at the function, conferred the awards. The Ministry also sponsored HelpAge India in organising an Inter-generational Walkathon in 9 State Capitals, namely Chandigarh, Shimla, Jaipur, Guwahati, Bhubaneshwar, Bhopal, Chennai, Mumbai and Ahmedabad and one other city, Kochi on 1st October 2013. The first ever National Conference on Ageing was held in New Delhi on 6th and 7th November 2012 with an objective to sensitize all stakeholders on ageing issues and review the various interventions of Central Government, State Governments/UT Administrations, NGOs and Civil Society. The focus of the Conference was on best practices and to prepare a Plan of Action for more effective implementation of various programmes for the welfare of senior citizens. A meeting, under the Chairmanship of Additional Secretary (SJ&E) was held on 17th October 2013 with the representatives of various Ministries/Departments to review the action taken on the recommendations made by the thematic groups in the National Conference on Ageing. The meeting was attended by representatives from Department of Financial Services, Ministry of Health and Family Welfare, Ministry of Rural Development, Ministry of Urban Development, Ministry of Women and Child Development and Ministry of Human Resource Development. Specific recommendations/Actionable points pertaining to each Ministry has been communicated to them in order to draw a Plan of Action on their respective part. (i) First National Awards for outstanding services in the field of prevention of alcoholism and substance (drug) abuse was conferred on 26thJune 2013 to the individuals and institutions to encourage them and recognize their efforts. (ii) The Ministry conducted an awareness generation programme in two states namely Punjab and Manipur during the year 2011-12 & 2012-13. This programme was envisaged to cover 3000 villages in ten districts in the state of Punjab and 750 villages in seven districts in the state of Manipur. Nehru Yuva Kendra Sangathan through its network of volunteers at village level created awareness about the ill effects of alcoholism and substance (Drug) abuse among the rural masses. The addicts were identified and de-addiction camps were organized for these addicts. (iii) This Ministry, in collaboration with the National Bal Bhawan an autonomous organization under Ministry of Human Rescores Development, had undertaken awareness generation programmes about the ill effects of alcoholism and drug abuse amongst the children of the age group of 12 to 16 years through its network of 155 Bal Bhavans and 77 Bal Kendras across the country through a series of activities like poster making, creative writing, lecture, rally, nukkad, natak etc at local, zonal and national level during the last two years. On the request of the Ministry, a Pilot Survey on the extent, pattern and trends of drug abuse was carried out by the National Sample Survey Office (NSSO) in March-April 2010 in the cities of Amritsar, Imphal and Mumbai using the method of network sampling. The survey was conducted with the help of NGOs identified by the Ministry. The main objective of the pilot survey was to test the efficacy of the sampling design and survey instrument to be adopted for a national survey. As the draft report of the pilot survey did not give a realistic picture of the prevalence of drug abuse, it was decided that on the basis of experience gained during the first pilot survey, an advanced pilot survey for 3 States viz. Punjab, Maharashtra and Manipur be conducted in which the left out groups like street children, homeless and educational institutions should form part of the sample to be surveyed. Accordingly, NSSO was requested to carry out the survey. Based on the data collected, the NSSO brought out a report in January, 2011. In this report certain issues relating to under-estimates, non-coverage of certain age groups, limitation of pilot survey being confined to cities of Amritsar, Mumbai and Imphal instead of entire States of Punjab/ Maharashtra/ Manipur and non-coverage of other potential selection units such as, homeless/ pavement dwellers, street children, rag pickers, university/ college/ school campuses/ surroundings, highways/ roadside eateries, liquor vendors, etc. were raised. The Ministry of Social Justice & Empowerment suggested for a more comprehensive and extended pilot survey so as to cover some States. The Ministry of Social Justice & Empowerment constituted a Central Coordination Committee (CCC) to coordinate and monitor the overall progress of the Advanced Pilot Survey to be conducted in all the districts of Manipur, Maharashtra and Punjab. National Statistical Commission (NSC) during a meeting held on 6.9.2013 observed that the proposed advanced pilot survey may not serve the purpose as the present methodology and the sampling design was not likely to give accurate result. Accordingly a Working Group has been constituted for advanced pilot survey to be conducted in two districts of Punjab and two districts of Manipur. In order to recognize the efforts and encourage excellence in the field of prevention of substance abuse and rehabilitation of its victims, Government of India has instituted the Scheme of National Awards for outstanding services in the field of Prevention of Alcoholism and Substance (Drugs) Abuse. The 1st National Awards for outstanding services in the field of prevention of Alcoholism and Substance (Drugs) Abuse was conferred on 26th June, 2013. The main function for observance of this day was presided over by the Minister for Social Justice & Empowerment. Shri Pranab Mukherjee, President of India attended the function as the Chief Guest. Minister of State for Social Justice & Empowerment along with other officials and dignitaries also attended the function. On this occasion, the message of the UN Secretary General was read by the Representative of UNODC, Regional Office South Asia, Ms. Cristina Albertan. The Ministry of Social Justice & Empowerment has been designated as the Nodal Ministry for Transgender Persons with effect from July 2012. Subsequently, consultations with the various stake-holders were made on 23rd August 2013. An Expert Committee has been constituted under the chairmanship of Additional Secretary (SJE) to make an in-depth study of the problems being faced by the Transgender Community and suggest suitable measures for addressing these issues. So far, the Committee has met twice on 6th November 2013 and 29th November 2013 to discuss the issues of Transgender Community. The next meeting is scheduled on 3rd January 2014. The Committee is expected to submit its report by 22nd January 2014. Principal Secretary to Prime Minister and National Skill Development Agency (NSDA) is monitoring the progress in regard to the persons being provided skill development training vis-à-vis the annual target set for the Ministry for the year 2013-14. The target for the year 2013-14 was fixed at 1, 21, 400 for the Ministry of Social Justice and Empowerment. The Ministry has provided the skill development training to 37077 youths till November, 2013 which is 30.54% through the training providers identified by National Institutes/ Corporation and State Governments/ Union Territory Administrations. All out efforts are being made to achieve the target till the end of the current financial year. The Persons with Disabilities (Equal Opportunities, Protection of Rights and Full Participation) Act, 1995 has been in force for over 17 years. In order to harmonize the provisions of this Act in line with the United Nations Convention on Rights of Persons with Disabilities (UNCRPD), the Act has been reviewed and a new Bill namely Rights of Persons Disabilities Bill, 2013 was finalized after extensive consultations with the Central Ministries/Departments, State Governments/UTs and various stakeholders. Accordingly, the Department moved a Cabinet Note on the Rights of Persons with Disabilities Bill, 2013 to replace the existing Persons with Disabilities Act, 1995 on 11.12.2013. The Union Cabinet in its meeting held on 12.12.2013 approved the proposed RPwD Bill, 2013. Notice from the Minister (Social Justice & Empowerment) to Secretary General, Rajya Sabha has already been issued on 16.12.2013 for early introduction of the Bill in Rajya Sabha. As per Section 32 of the Persons with Disabilities (Equal Opportunities, Protection of Rights and Full Participation) Act, 1995, the Ministry had issued notifications in 2007 identifying posts (Group A, B, C & D) that can be reserved for the Persons with Disabilities. The list of these identified posts has been further reviewed and the revised list of identified posts for persons with disabilities has been notified on 29.07.2013. In the year 2012, the Ministry had signed a Memorandum of Understanding with Government of Afghanistan for bilateral cooperation in the area of Disabilities. In terms of this MOU, Delegations from Government of Afghanistan already visited India twice this year and all necessary cooperation was extended to them to promote developing suitable infrastructure for empowerment of persons with disabilities. 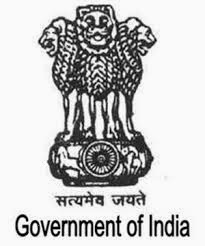 Detailed guidelines for conducting examination by the academic institutions as well as by recruitment agencies for the persons with Disabilities has been issued by the Department on 26.02.2013. The guidelines provide for scribes, grant of extra time etc. for the persons with disabilities during examinations. The main objective of the Scheme is to provide grant in aid to the various implementing agencies (NGOs/NIs/District Disability Rehabilitation Centres/ALIMCO/State Handicapped Development Corporation/other local bodies) to assist the needy disabled persons in procuring durable, sophisticated and scientifically manufactured, modern, standard aids and appliances that can promote their physical, social and psychological rehabilitation, by reducing the effects of disabilities and enhance their economic potential. The aids and appliances supplied under the Scheme must be ISI. The scheme also envisages conduct of corrective surgeries, whenever required, before providing an assistive device. Under the existing scheme, persons with disabilities (PwDs) with an income upto Rs. 6,500/- per month, get the aids/appliances free. For income level between Rs. 6,501 to 10,000 the aids are provided at 50% of the cost. Only those aids/appliances, which do not cost more than Rs. 6,000/- , are covered under the scheme. Since 1981 the Scheme has been revised twice. The Scheme was first revised in 1998. The Scheme was last revised in 2005. A Committee under the Chairpersonship of the then Additional Secretary (SJ&E) was constituted which included representatives from non-governmental organizations (NGOs), State Governments and National Institutes under the Ministry working in the specific fields of disability. The Committee in its report suggested various modifications relating to financial, administrative and procedural aspects. The Expenditure Finance Committee (EFC) chaired by the Secretary (Expenditure), Ministry of Finance considered the proposed modifications in the scheme in its meeting held on 07.12.2012. Draft CCEA Note has been circulated to the concerned Ministries/Departments on 26.11.2013. Role and Functions-including the extent to which it should do R&D in house, and support this by other agencies; and whether it should also do R&D in the field of assistive technology. Þ Structure (including whether it should be set up as an independent entity or under the umbrella of a suitable existing institution like the National Institute of Design or CSIR). Þ Implementation modalities and phasing. The task force submitted its report on 28.02.2012. Further, an expert group was constituted consisting of Dr. Gaurav Raheja, Assistant Professor, IIT Roorkee, Dr. Rachna Khare, Professor, Deptt. Of Architecture, School of Planning and Architecture, Bhopal, Ms. Shivani Gupta, Founder & Chief Consultant, Accessibility, New Delhi and Dr. Abir Mullick. Professor, Industrial Design, Georgia Tech, Atlanta. The group submitted its report in June, 2013. Draft EFC note has been circulated to the concerned Ministries/Departments on 20.12.2013. To create infrastructure and capacity building at District level for providing comprehensive rehabilitation services to the persons with disabilities at the grass root level and for facilitating at the district level for awareness generation, training rehabilitation professionals the Ministry provides assistance for setting up District Disability Rehabilitation Centres (DDRCs) in under-served districts of the country. Until March, 2010, 199 DDRCs have been sanctioned. Out of this 185 such DDRCs are functional as on date. In the budget speech of the Finance Minister for 2010-11, it was announced that 100 new DDRCs would be opened during the remaining period of XI Five Year Plan. Accordingly 100 under-served districts in 20 States were identified and concerned State Governments requested to send proposals for setting up new DDRCs. Sanctions have been issued for setting up 48 new DDRCs so far. The National Programme for prevention and control of Japanese Encephalitis (JE)/Acute Encephalitis Syndrome (AES) in the country prepared by Ministry of Health and Family Welfare covers 60 priority districts of 5 States and inter alia approved setting up of 15 new DDRCs in the remaining high priority districts of 4 States. The concerned States have been requested to send proposals for these districts. Out of 15 new DDRCs 4 have been set up. As on date 237 DDRCs have been set up/functional.